My kids have always loved to draw and color. They both were doodling at a very early age and have always enjoyed being able to express themselves without limits. As a mom, I still enjoy drawing and coloring and enjoy this activity with my children on a regular basis. Doodle Roll lets your children take their love of coloring, drawing and creativity with them everywhere they go! Whether at home or on-the-go, you can take it anywhere. It's perfect for those long road trips, all day sporting events or while waiting in the doctor's office or restaurants. 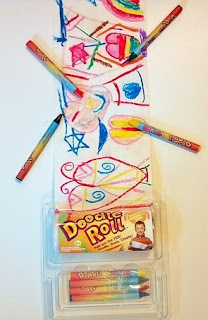 I love that the Doodle Roll is fun, portable and easy to clean up! It's perfect for children of all ages, including those adults that are still kids at heart. Drawing and coloring lets children take their creativity and imagination to a whole new level where there are no limits. With Doodle Roll, anything is possible and the sky is the limit! They are ideal for creating colorful, perfect sized banners for Birthdays to Baby Showers and Welcome Home to Congratulations! 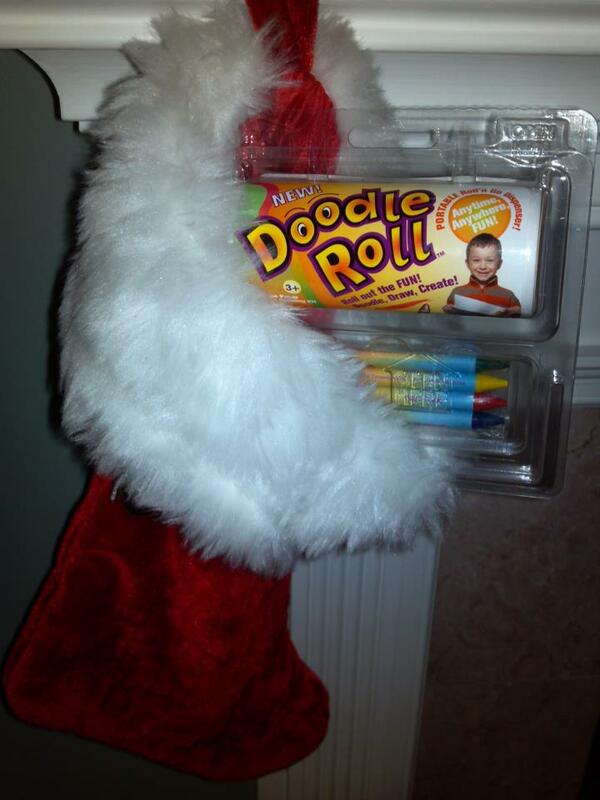 Doodle Roll comes in 2 different sizes: 4" includes 15 feet of paper and 6" includes 30 feet of paper! Each all-in-one drawing kit includes paper, crayons and a portable roll n' go dispenser. They are also affordable, just $3.99 and $5.99, making them the perfect gift, stocking stuffer or party favor! They are the perfect size and easily fit in any backpack, diaper bag or glove compartment in your vehicle. Doodle Roll lets you Roll Out The Fun! My children, ages 7 and 10, had so much fun with Doodle Roll. They drew pictures that naturally rolled into stories about their life, family, pets and friends. Doodle Roll is a product of Imagination Brands, a private company dedicated to creating an innovative product line of paper-based educational toys, games, and products that inspire active & imaginary play for kids of all ages. Committed to ‘Delighting Kids and Parents’ with products that stimulate creative play anytime, anywhere. both of my girls are very creative and love art so I would give it to them.